Our results this year have been outstanding with championships wins in all three team-supported championships; the first time a Caterham race team has achieved this success. 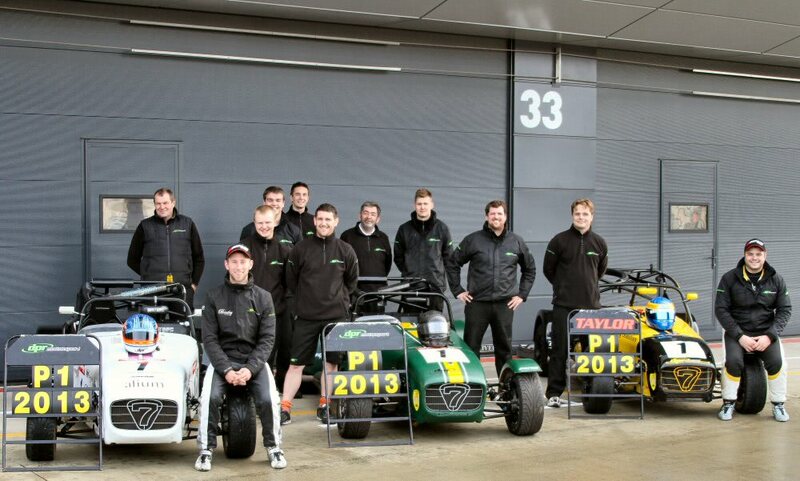 Officially DPR is the most successful Caterham race team in 2013 reflecting the great support received from our customers, staff and suppliers. This year has had its share of highs and lows that reinforce that an open and friendly team approach is the all-important aspect of any form of motorsport. None of our regular drivers suffered any championship penalties for breach of driving standards reflecting that ultimately the race weekend is all about enjoyment. Within DPR we have some seriously committed drivers but also those who enjoy racing for its own sake regardless of whether a podium place is in prospect. Although team support is not available to Academy and Roadsport we have been able to help a number of these drivers through our workshop-based set-up and service options. Our congratulations go to these customers for the success they have all enjoyed. This year we have had the team enhanced by our driver coaches Paul Wilson and Ben Clucas who have helped all of our drivers to advance and Pam Moore of the Catering Agency ensured drivers and team alike were properly looked after at Silverstone. Caterham has provided much appreciated support in parts (Darren Phillips & Tony Mills), service (James Gibson) and repairs (Caterham Westbury). Our set-up service has benefited from the Pro-Align supplied Hunter alignment system and also Demon Tweeks went to special lengths at the start of the year to provide us with shaved tyres required at short notice after a late regulation change for the Superlight R300 championship. Last but not least, special thanks to Gordon Sawyer for the Sunday morning assistance at the ARS bodyshop in Crawley that enabled us to get Ollie Taylor’s car so effectively back on track after the crash at Brands Hatch. Next challenge- Catching up with everyone at the Caterham Awards Dinner!